Fox News' resident ambush reporter wanted an interview with a Massachusetts college president. The school's president just wanted the reporter's foot out of his door. In the end, the cops got involved. On Wednesday evening, Fox viewers took in the latest offering from Jesse Watters, the "O'Reilly Factor" correspondent whose segments exist largely to embarrass liberal foes. 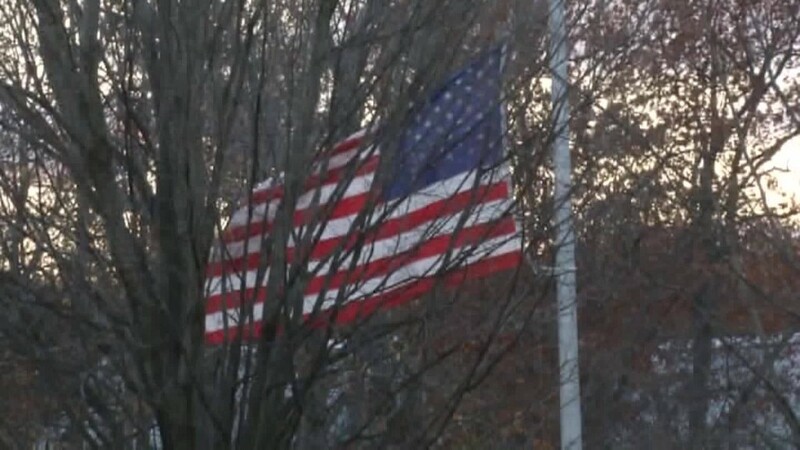 The latest target to receive the Watters treatment: Hampshire College in Amherst, Massachusetts, whose president, Jonathan Lash, recently announced that the school will stop flying any flags "for the time being" after an American flag was burned two days after the election. The school's decision inspired protests among veterans groups, and the story has gotten plenty of attention from Fox News this week. A segment that aired Tuesday on the channel's morning show was the apparent impetus for Donald Trump saying flag burners should be punished, possibly losing citizenship or spending a year in jail. Related: Trump's Twitter inspiration: cable news? It is also a story tailor-made for Watters, who is frequently deployed to college campuses and other liberal enclaves to ambush individuals who have offended Fox's top-rated host, Bill O'Reilly. At the end of the segment that aired Wednesday, Watters confronted Lash as he was exiting his vehicle. As Lash approached the door to his home, Watters peppered him with questions. "Well, now that I have you here, why did you remove the American flag from campus?" Watters asked. "Nice to meet you," Lash replied. Watters persisted, telling Lash that "the whole country's laughing at you right now." It was then that Lash asked Watters to remove his foot from Lash's door, but to no avail. "Don't you think you owe it to the veterans to explain yourself?" Watters pressed. "I don't want to talk to you about it," Lash said. "Would you please remove your foot from my door?" In a statement first reported by the Washington Post, Hampshire College spokesman John Courtmanche said that Watters didn't follow the rules, so the school turned to the authorities. "We regularly engage with the media and participate in interviews and have done so often in recent weeks. Members of the media are familiar with widely accepted protocols to contact the office of communications to coordinate interview requests," Courtmanche said. "In this instance, a Fox reporter and camera person did not request an interview, but rather entered the college president's private property and then tried to prevent the president of the college from entering his private home. As a result, campus security and the local Amherst police department were alerted." Courtmanche said that police responded and filed a report. A message left with the Amherst police department was not immediately returned. Watters has a reputation for being rude and insensitive. In October, he drew widespread condemnation for a segment in Chinatown that was filled with Asian stereotypes.